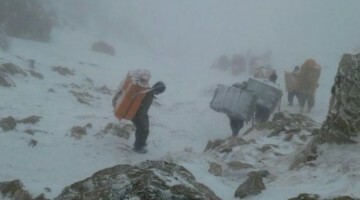 DÎSA-DER Co-chair Naim Özden and executives Sevket Acar, Dilber Akin, Mizgin Deniz, Gülsüm Bilge and Celal Soguk were arrested on Saturday. 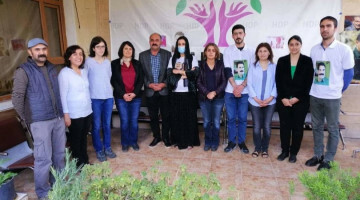 After yesterday's raids carried out by police at several houses, a number of people from Language Culture and Art Research Association, DÎSA-DER, were taken into custody in Van province. 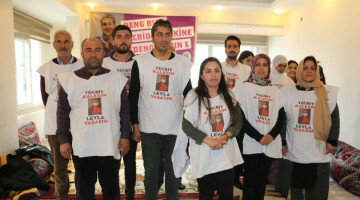 Co-chair Naim Özden and executives Sevket Acar, Dilber Akin, Mizgin Deniz, Gülsüm Bilge and Celal Soguk were arrested and on Sunday, the association made a press conference at its office to call for their release. 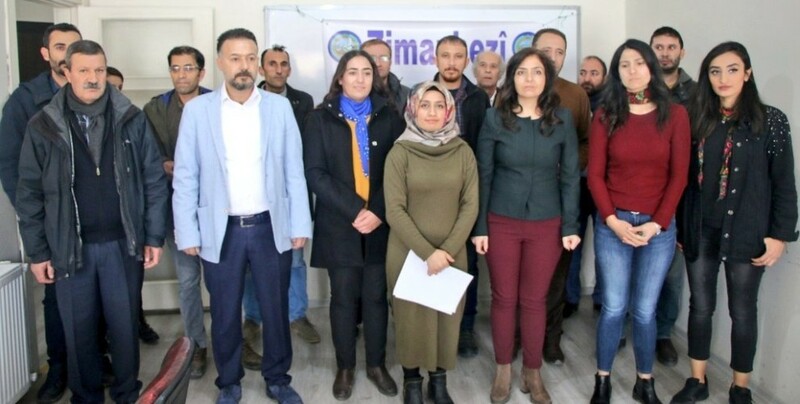 People's Democratic Party (HDP) Van Provincial Co-Chairs, Yadishen Karabulak and Umit Dede, and HDP Van Deputy Bedia Ozgokce Ertan also joined the press conference. DÎSA-DER Co-Chair, Medina Karaman said: “Our Language Culture and Art Research Association (DÎSA-DER) has been subjected to political operations because of the work it carries out on Kurdish language. The state cannot tolerate the very existence of Kurdish language and literature”. 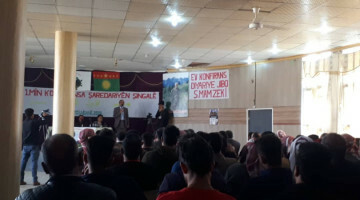 Karaman added: “Despite all these years of operation and intimidation policies, the state cannot and will not be able to prohibit Kurdish language. For over 80 years the State has been an enemy to Kurdish culture and language, yet they have been alive for years. The State won’t reach its aim”. Karaman ended the statement by demanding the release of the executives detained.